Have you shifted to a product manager mindset? Thinking about your products and what they mean to your customers instead of your internal projects will actually help you beat your competition to market and to the next innovation. In his most recent CIO.com blog, Patrick Tickle, Planview chief product officer, explains why building great products is central to the product manager’s role and should be central to the IT department as well. 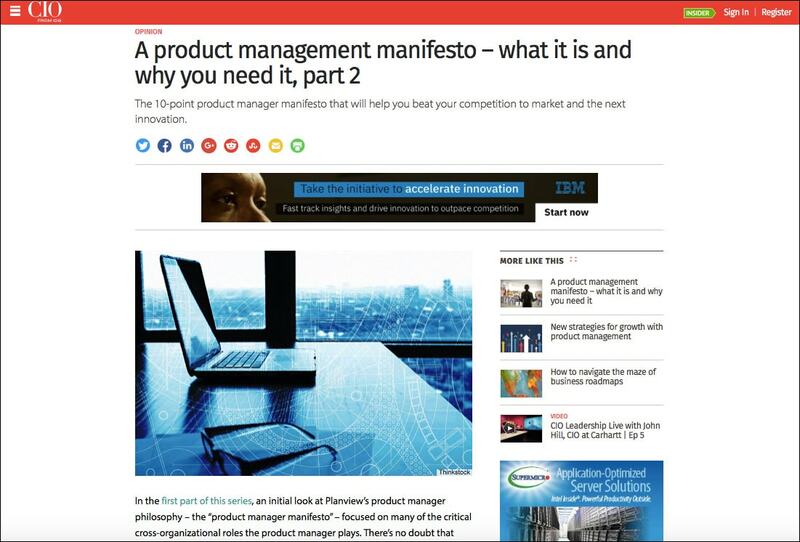 Take a look at the 10 elements of the Product Manager Manifesto. Introducing this mindset into your technology organization will go a long way in getting to the other side of your digital transformation. Check out Patrick’s Product Innovation and Technology Strategy blog on CIO.com.